Guess what? I received a perfectly timed and wonderful message a few days ago. 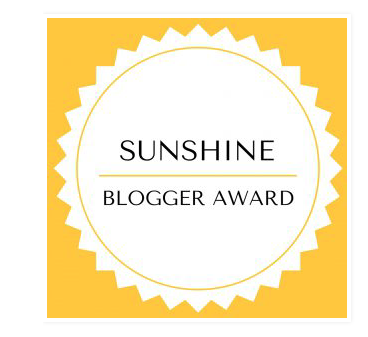 I have been nominated for The Sunshine Blogger Award! This is huge for me because it means someone out there not only read my blog, but connected with it on some level to think of me for this award. It makes the hard work and time given to my own blog a little sweeter. The Sunshine Blogger Award is given to bloggers by other bloggers who are creative, positive, and inspiring. Once nominated, a blogger is required to 1) write a post in which they thank the blogger for nominating them and link back to their blog, 2) answer the 11 questions asked by the person who nominated you, 3) nominate eleven other blogs and 4) give them eleven questions to answer, 5) notify your nominees and display the rules and The Sunshine Blogger Award logo in your post. I would like to say THANK YOU to Shannon at Health-ish Foodie for the sweet nomination. I mean, really, what better way to be recognized than from another fellow blogger in this big ol’ blogging world. 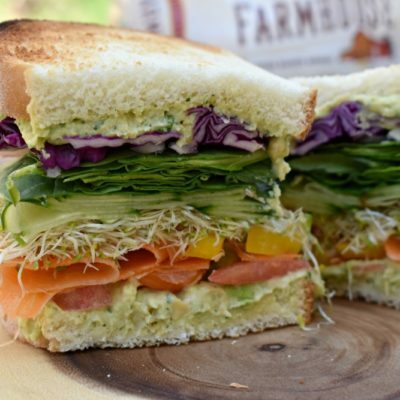 Health-ish Foodie is a blog full of wonderful advice and amazing recipes featuring veggie filled food that tastes great and doesn’t break the bank. You have to check it out! Here are the questions I was asked upon accepting this generous nomination. 1. Tell us a little about your blog and what was the driving force behind its creation? I am a complete and total home enthusiast! Cooking, decorating, and entertaining have always come easy for me and, no doubt, it is because I had my own mother to show me the way. But I realized through the years that I had friends or family that were frustrated with these things that I enjoyed so much. A blog was a perfect space to share my creative adventures with the world and to show people that a wholesome homemade meal on a hectic weeknight is possible and a designer look in your home doesn’t have to break the bank. 2. What are your top 3 blogs that you look to for inspiration? I am a bit of a blog junky. I have followed several blogs for so many years, yet, since I have started blogging just a few short months ago, I have discovered so many new and inspiring bloggers. I love the honesty, humor, knowledge and ease (not to mention the killer decor) of KariAnne’s voice at Thistlewood Farms. She’s a blogging powerhouse and I am inspired by her beautiful work. For decorating inspiration, there is no other than Marian, aka Miss Mustard Seed. A love for budget decorating that turned into blogging that turned into her very own Milk Paint brand? Amazing! I love visiting Amanda at The Chunky Chef. Her tagline “everyday meals with a dash of gourmet” is something I relate to and she is a cooking inspiration. 3. What is your favorite food and/or cuisine that has also inspired one of your recipes? I’m a sucker for anything topped with Cilantro and a kick of spice and I know that could mean anything from Mexican to Thai dishes. My Creamy Coconut Curry Cauliflower Bisque is a prime example of the flavors I love. The base of the meal is ah-maze-ing, but add to it a variety of flavorful garnishes and I am in foodie heaven. 4. What is the one kitchen tool you could not live without? I have a small obsession with my cookware, but I would have to say I cannot live without my gorgeous walnut Boos Board. We spend an awful lot of time together. 5. What do you do to get inspired to create a recipe or blog post? Call me corny, but my inspiration comes from my husband. He is my biggest fan. His flavor moods motivate me to come up with something that will knock his socks off. He has eaten in some of the most gourmet restaurants around and yet he still insists that dinner at home is better even when a recipe is a total fail. Oh, I love him. 6. Which celebrity chef would you love to meet and what would you talk about? Ina all the way! Ina Garten’s sweet attitude, relaxed sense of humor, and pure ingeniousness in the kitchen amaze me. She switches up a classic and entertains with style, class, and simplicity. I would love to pick her brain on her favorite kitchen tools (I know she loves a good sheet pan and her Kitchen Aid Mixer, but what else? 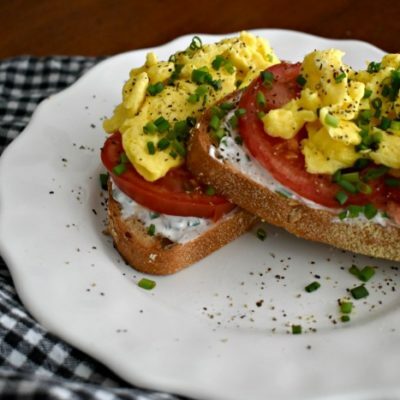 ), different ways to drape a tablecloth, and then take a tour of her garden and chit-chat about our husbands, Jeffrey and Bill, while snacking on a good English Stilton, fresh bread and a bottle of wine. Is this weird? 7. What has been your biggest struggle when it comes to blogging? It is definitely the tech part of it. I’ve found that most experts assume since you started a blog, that you must have a decent amount of computer knowledge. This is so not true for me. Everything, I mean everything, is brand new to me in this blogger world. It’s like learning a new language and there have been plenty of moments where I want to call it quits because it is so scary and frustrating to be so clueless about coding, formatting, and widgets. 8. What is the hardest dish/recipe you have ever made? Steak Au Poirve. I’m not sure it was hard, but it was definitely frightening and anxiety inducing. It was delicious but I don’t think I’ll be making flames in my kitchen again any time soon. 9. What is one thing you wish non-bloggers knew about blogging? I wish non-bloggers understood just how much time, effort, patience, and passion went in to creating a blog and its content. This isn’t a hobby, or an online journal or something to pass the time. I’m trying to make something of myself, be somebody in addition to a busy stay-at-home mom, along with also growing some income for my family. My biggest supporters and cheerleaders have been complete strangers from other blogging or social media worlds. 10. When did you start blogging and what is your schedule/blogging routine? I started blogging in September 2016 but I didn’t go “live” until January 2017. I can’t say I have a set routine each day for now, but each week I am able to check off some goals. I try to spend an hour or two every morning interacting with other bloggers on social media. I also dedicate a chunk of time each week focusing on the business side of it (affiliate marketing, google analytics, etc.) When I am feeling inspired, I take advantage of that moment and just write. That can happen any hour of the day, but I am obviously more productive when the house is empty. As far as content, I love recipe and DIY planning and my family is used to eating dinner with a camera nearby or coming home to a newly painted room. That’s the easy part. I love sharing my voice with readers. When I started this blog, I promised myself I would try not to sound like anyone but ME. I know with my honest stories that my sarcasm (and sometimes my potty mouth) comes through, but I hope my sincerity and my adoration for my family shine too. I also love that I have a place to honor my mother suffering with late stage Alzheimers because she taught me everything I need to know about the home and she was extraordinary at it. Thank you again to Shannon at Health-ish Foodie for nominating me! Tell me about one of your favorite blog posts. What bloggers would you love to interview? Savory or sweet? Give an example of the perfect snack. What is the best DIY you ever did? Is there anything you wish you knew before you started your blog, besides the tech stuff? Do you have a post that you hesitated hitting publish on? Tell me about your blogging schedule. 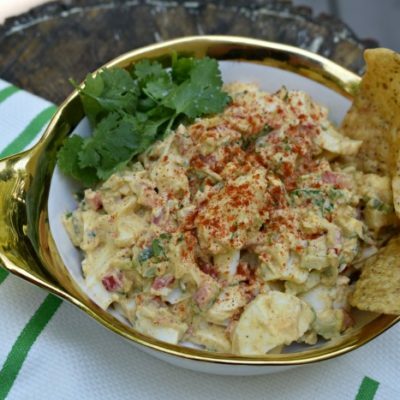 What is your go-to weeknight dinner? Congrats on this. Amazing !!!!! I am so proud of you and what you’ve done.